FingerTec Power Supply for FingerTec Items. 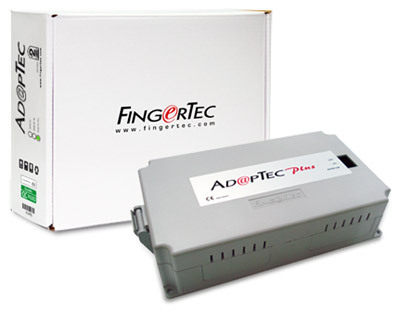 AdapTec Plus is an exceptional FingerTec accessory in a small package! To power on FingerTec readers with DC12v3A. To control electrical door lock with DC12v3A. Maximum 2 locks. To charge DC12V rechargeable backup battery and powered the entire system during power failure.